Jim and Laura at Inspirations. 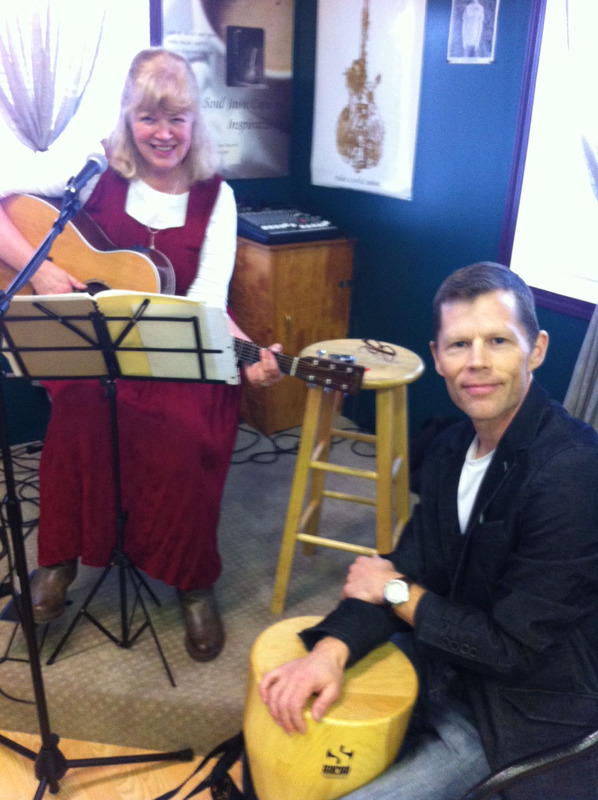 I loved singing carols and some of my originals at Inspirations bookstore today. I was happily surprised when my friend, Jim, joined me and added some fun percussion sounds…djembé , bells, penny whistles and some lovely vocals too. 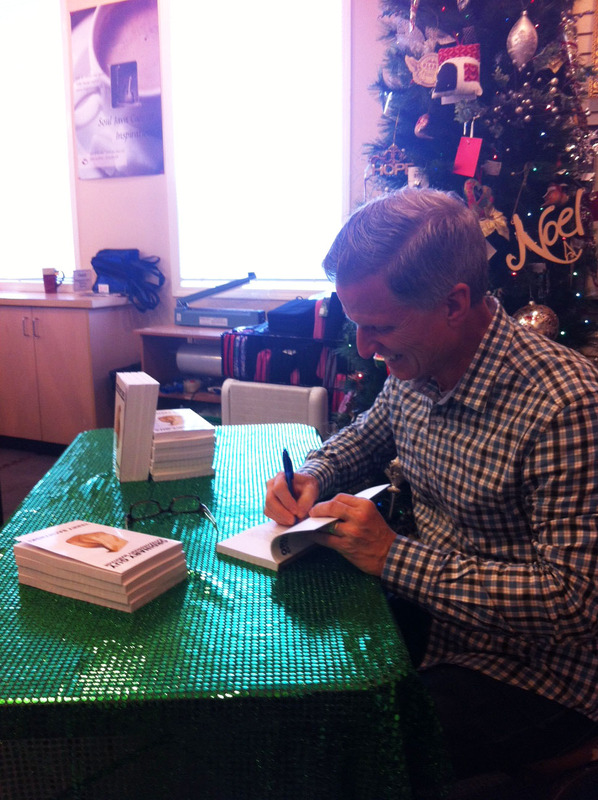 Meanwhile, my husband, Terry, was in the adjoining room ( he was in the store while we were in the coffee shop) signing copies of the 5th printing of …” ORDINARY GUY – EXTRAORDINARY MARRIAGE “. It was a great day for both of us…we met nice people, enjoyed warm drinks and Terry managed to sell 16 books! I also sold some CDs so that is always nice as I am still trying to pay off my debt in creating them..ha ha. I hope to perform more Christmas and original tunes again one more time before Christmas if I can but this time with Terry Ropchan. We’ll see if we can make that happen.